Yields on international bonds vary substantially, and this makes the option to buy the ones that offer higher return on investment more advantageous. To illustrate, 10-year bonds from United States currently yield about 2.63 percent, whereas 10-year bonds from Australia yield closer to 3.87 percent. Furthermore, after calculating yield to maturity in terms of cost, duration and inflation, being able to choose from a wider range of bonds helps market participants acquire more competitive returns on investment. For Americans, buying bonds from the U.S. Treasury is possible via its website Treasury Direct. However, purchasing bonds directly from foreign governments is not so easy. This is because the bond market is not as liquid as either the foreign exchange market or the equities market according to an investigation by Jeffrey R. Kosnett of Kiplinger. Moreover, according to Kosnett, only high net worth individuals have access to the bond market due to the large minimum purchase amounts. Some brokerage services such as do offer bond purchase services, however many investors will only be able to do so through alternate financial instruments rather than directly. Although purchasing international bonds this ways involves a middle man, the return on investment can still outweigh a direct purchase of domestic bonds of similar or equal risk. An added benefit of this method is the peace of mind attained from knowing a regulated financial institution is facilitating the bond purchase agreement. One of the easiest ways to buy bonds is via exchange traded funds. Exchange traded funds are financial products bought by asset managers and that are resold in the stock market. Moreover, since there are multiple bond ETFs, investors have the flexibility to choose when they buy shares of the ETF, at what price they purchase and they specific type of bond ETF they are interested in purchasing. Examples of bond ETFs include the Vanguard Total International Bond Fund (BNDX) and the PIMCO Australia Bond Index Fund (AUD). Another way to purchase international bonds is through shares of international bond mutual fund. The PIMCO Foreign Bond Fund (PFOAX) and GMO Global Bond Fund (GMGBX) are both international bond mutual funds. Mutual funds tend to be more expensive to purchase bonds through because of the way they are managed and how they are purchased; this is reflected in free structure. To illustrate, the PIMCO Foreign Bond Fund has a front load expense of 3.75 percent and total expense ratio of .9 percent, however the PIMCO Australia Bond Index Fund has no front load expense and total expense ratio of .45 percent. Retirement plans such as 401(k) accounts do offer bond funds, however the fees involved with 401(k)s are known to be exorbitant. This is evident in the highly cited Frontline investigation called “The Retirement Gamble” that aired on PBS on April 23, 2013. Furthermore, due to the multi-layered management and custody of employer retirement plans, up to a dozen kinds of fees including retirement plan administrative fees, trading fees, asset management fees, record keeping fees and marketing fees have been found in 401(k)s. These costs erode the return on investment offered by higher yielding international bonds. Individuals are also able to purchase bonds using offshore accounts. This option is more ideal for high net worth individuals seeking financially savvy and advanced financial planning methods to further protect, maximize and hedge investment capital. Several offshore financial jurisdictions and institutions offer financial services that enable investors to purchase bonds. For instance, Panama allows International Business Company Formations that enable investors to privately purchase bonds in a way that protects assets from creditors. 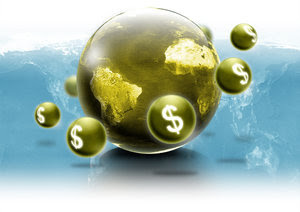 Investing in international bonds is considered a means of investment diversification. Bonds, especially those from institutions and governments with high credit ratings, offer investors and financial planners a method to lessen risk and optimize asset management returns. The method used to purchase international bonds does not necessarily matter as much as the decision to buy them and the choice of bonds purchased whether it be direct or indirectly through a financial intermediary.